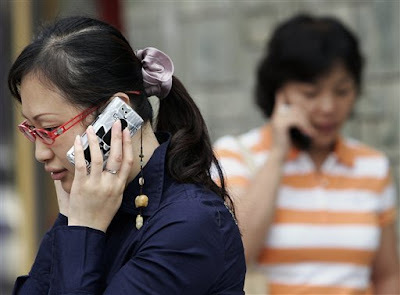 It looks like China’s 3G efforts are inching closer to reality. China's main mobile phone company will launch trial service of the homegrown Chinese next-generation standard this week, possibly moving the huge market closer to the long-anticipated rollout of new services. Companies expect a multibillion-dollar wave of spending on equipment once China awards licenses for 3G service. But Beijing has delayed a decision while it tries to develop its own system to compete with global standards. China Mobile will be issuing 20,000 phones and 5,000 data cards in Beijing and seven other cities which shall include Shanghai, Tianjin, Shenyang, Guangzhou, Shenzhen, Xiamen and Qinhuangdao. Forbes says the operator will give away 20,000 TD-SCDMA mobile numbers free and will give way the same number of handsets for nothing, with other subscribers offered discounts of 100 to 200 yuan on their phones. China has the world's biggest population of mobile phone users, with some 550 million subscribers, and standards decisions could have a far-reaching impact on the equipment market. Beijing has been trying to create its own standard since 2001, hoping to create opportunities for its telecoms companies and reduce the need to pay license fees to developers of the global standards, known as W-CDMA and cdma2000.